The Mewtwo & Mew campaign was officially released today in Japan. 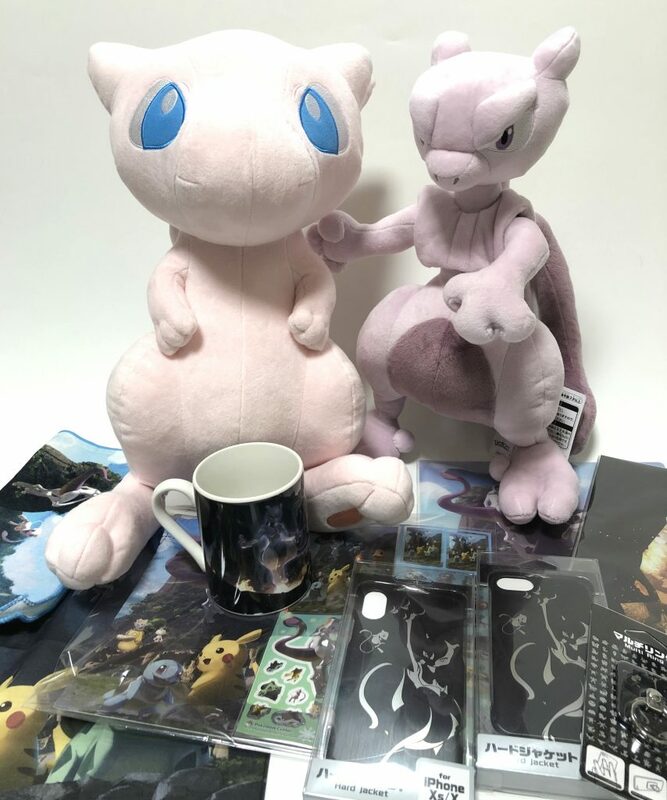 This is our first look at some of the new merchandise from the new movie “Mewtwo Strikes Back – Evolution” that will be hitting the movie theaters in Japan, in mid July, 2019.
these items are very limited and will be long sold out before the Pokemon movie hits the theaters, but you can still get them on Pokevault while supplies lasts. The Flying With Latias & Latios Campaign goods were officially released today at the Pokemon Centers in Japan. 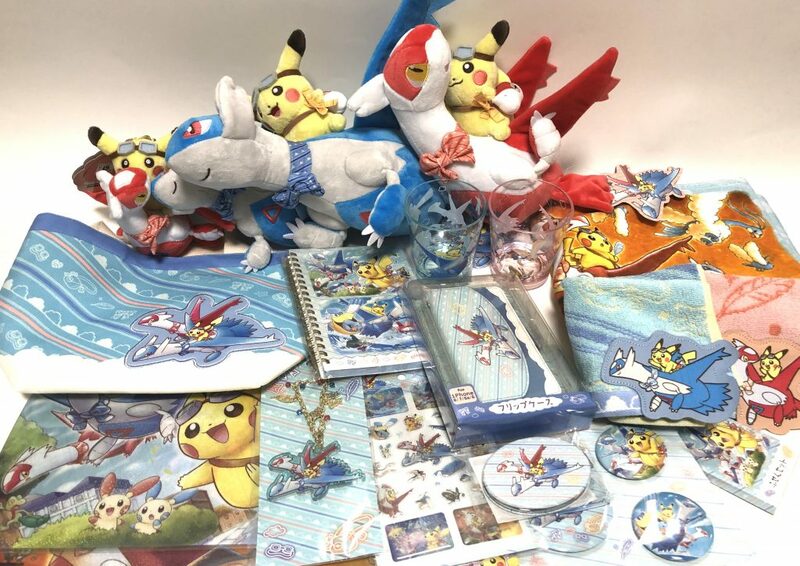 The campaign features mostly Latias, Latios & Pikachu in a variety of merchandise. These items were very popular in Japan. They were released on the last weekend of Japanese Spring Break, so they are sure to sell out soon. You can of course buy them on Pokevault while supplies lasts. 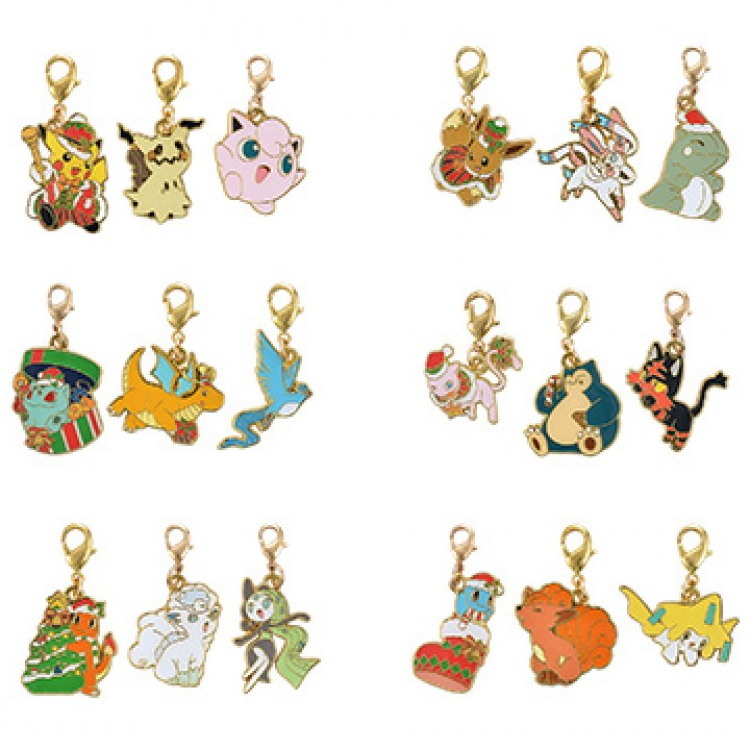 Its that time of year again when all the Christmas items are released from the Pokemon Centers in Japan. This year will feature Mew, Pikachu, Eevee, Bulbasaur, Charmander & Squirtle. There will be plush toys, cookies, plush mascots, drawstring bag, acrylic Christmas tree, pin badge, hand towel, masking tape, coffee mug, stickers, message card, file folder, and 6 different random charms. 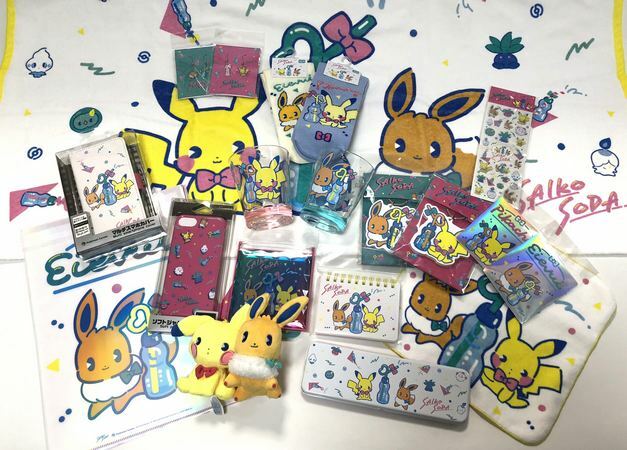 All of these cute products will be released at the Japan Pokemon Centers on November 3rd, 2018. Some of these products may be available in the USA and some will not. 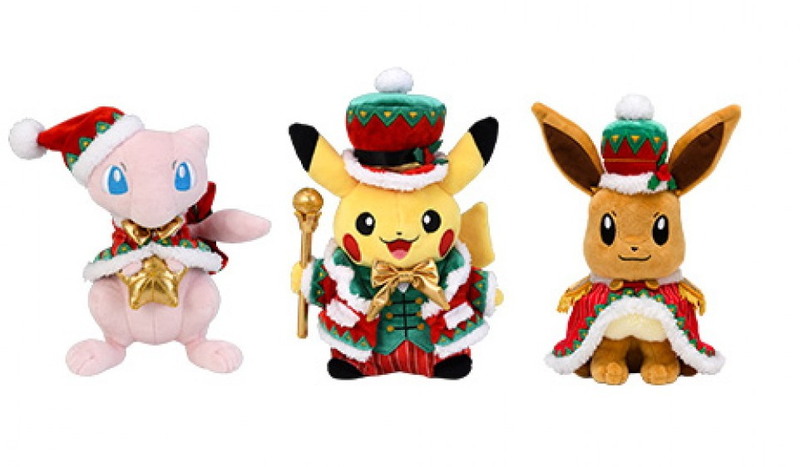 The Christmas merchandise is usually only available from November until Christmas at the Pokemon Centers, but if supply runs out you can always get yours on Pokevault while supplies lasts. Dont miss out and have a very Happy Holiday season! The Pokemon Centers in Japan have released the new Saiko Soda campaign merchandise. “Saiko” means “best” or “awesome” in Japanese. This lineup features an adorable cartoon type version of Eevee & Pikachu in a variety of goods with soda. There was alot of different merchandise available including a hand towel, mini bath towel, mascot plush keychains, cool type socks, iPhone cases, stickers, keychains, mirror, earrings, cups, memo pad, pen case with candy, pass case, file folder and more. There was also a few bags and a backpack which are not pictured. 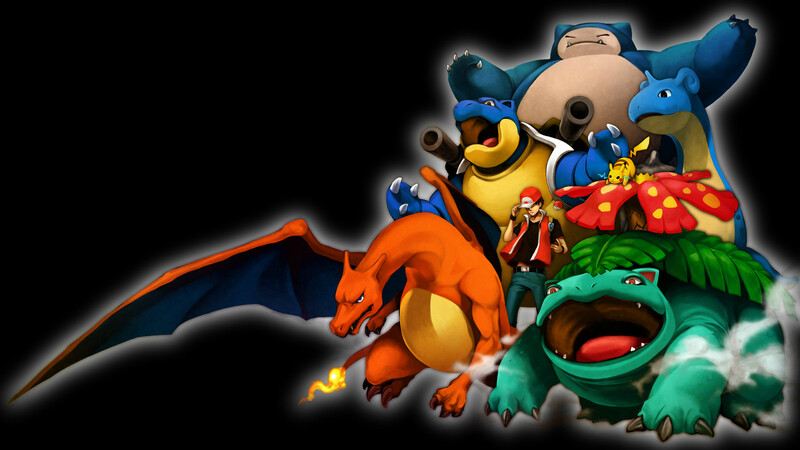 You can check out Pokevault’s video below for a closeup look at all the goodies. These items will most likely only be available in Japan, but you can of course purchase them on Pokevault while supplies lasts.